The Young African Leaders Initiative is concerned with the incessant attacks being showered at the Constitutional Court a few days preceding a crucial judgement regarding the 2021 eligibility case of President Edgar Lungu on 7th December, 2018. 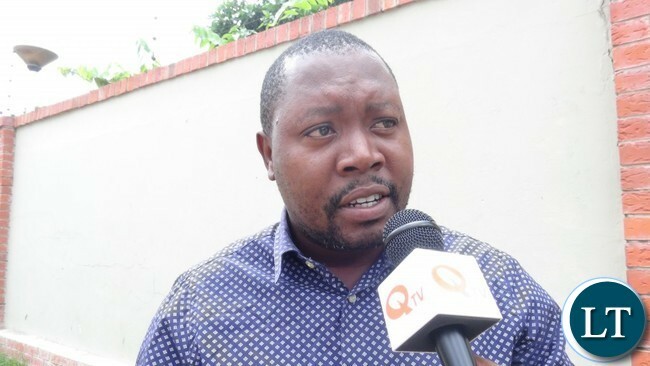 YALI President Andrew Ntewewe said his Organisation has noted with great disappointment sentiments attributed to supposedly imminent people who have even reached the point of demanding the abolishment of the Constitutional Court. “YALI wishes to be very clear and put on record that we find such utterances very shameful and unacceptable. We once again want to recapitulate, that as a democracy institution, we strongly believe in our institutions of governance”, Mr. Ntewewe has said. He reminded citizens that all Zambians have a responsibility to protect the integrity and sanctity of the judiciary. “Judicial independence is a very important pillar in a democratic society. This is because as a foundation for democracy, it is the source of perennial vitality and the beacon of hope for the nourishment and growth of democracy”, He added. He has since called on all parties in the eligibility case, to exercise maximum restraint, maturity and sobriety further reminding them that they went to court because they believed in the first place in no uncertain terms that the court is a fountain of justice. Mr. Ntewewe said whatever, the outcome, the Court must be respected, knowing that only one party can be a victor. He has warned that if the incessant attacks continue even after the judgement, YALI will not hesitate to be the ones that complain to the Director of Public Prosecutions with a view to institute contempt proceedings. YALI is Wrong to Cover up President Lungu’s Misguided Intimidation of Constitutional Court Judges! All playing today, you are not reporting them. Who is more important between Nkana and Yali’s Mtewewe? KangCourt is a shame to the whole legal profession. When we say the Zambian judiciary is rotten, KangCourt leads the lot. Andrew! Because anyone with common sense and those who are not making a living by being bribed to make statements favorable to pf and lungu can see that the constitutional court is a shameful corrupt kangaroo rubber stamp court. And we are equally concerned with the lack of respect for the highest court in the land which ruled that Ministers must pay back money which they earned illegally during the campaigns of 2016. YOU HAVE TO EARN THAT RESPECT IT’S NOT DISTRIBUTED LIKE CAMPAIGN T- SHIRTS. It’s well known fact that money is spend by opposition political party leaders to several organizations and individuals to go on media and publicity condemn the constitution court over several judgments the court has been issuing in favor of PF and government.con court is number one enemy of many opposition political parties because the court has rejected many unsubstantiated court claims from opposition upnd.kudos to ECL for consolidation of con court because PF government and ECL wouldn’t have survived their evil cattail with High Court. Did this f00l called Ntewewe and his YALI talk when Lungu warned the Concourt judges? Why are these PF NGOs such as YALI so subjective? If the court gives neutral verdicts then nobody would even blink an eye but when they give biased judgements which even experts abroad as well as local learned judges and lawyers question then even the people have a right to question them. The attacks are well deserved because their judgements favour the PF government. Any way the judges are appointed by ECL so what do you expect. Just because you take weak cases to them that you always lose then they favor PF. Hansungule and ndulo must join con court. Thats when con court will become credible. You are naive, you are better suited as a young leader. There is no hope of you maturing under that trajectory. The problem with UPND chaps is that they never read anything except to listen to what their life president says. Read the constitution of Zambia, especially article 104. So that you understand it for yourself. Fresh elections in 2023 he recontests and wins since Zambians only count a term as 5 yrs ..he runs upto the end of the term in 2028 and recontests again.